Not all spies are suave and sophisticated. Thomas Bladen is smart, sardonic, and rough around the edges. He works for the UK’s Surveillance Support Unit – loaned out to any government department that will have them, including law enforcement and intelligence agencies. When Thomas uncovers a sinister secret that threatens both the UK and the EU, his life and the lives of those closest to him will never be the same again. 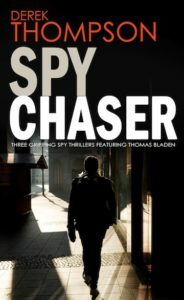 SPY CHASER combines three gripping espionage thrillers in one volume (STANDPOINT, LINE OF SIGHT, and CAUSE & EFFECT). Set in the Surveillance Support Unit, a shadowy government department, follow Thomas Bladen’s quest to uncover the truth. THE WRONG MAN IN THE RIGHT PLACE CAN MAKE ALL THE DIFFERENCE. Thomas Bladen has been living a double-life for two years. He’s a Civil Service photographer in London, but the Surveillance Support Unit has a much wider remit. It’s staffed by ex-forces personnel, careerists, and Thomas. He has an eye for details that other people miss and a talent for finding trouble – a combination that was never going to bring him an easy life. 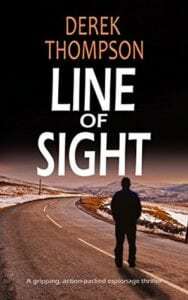 When Thomas witnesses a shooting on a routine surveillance operation and uncovers a web of deceit and treachery that people will kill for, can a good man hold the line without crossing it? A YOUNG WOMAN LIES DEAD AT AN ARMY BASE. WAS IT AN ACCIDENT? When Amy Johanson is killed during a weapon test, Thomas Bladen and Karl McNeill are determined to expose the truth. To do that, they must protect Jess, their only witness, but she plays a dangerous game of seduction and lies. Thwarted by dangerous and powerful forces, can Thomas get justice for Amy and navigate the shifting sands of espionage, politics, big business, and the tragic mystery of Karl’s past? BLADEN TURNS DETECTIVE, BUT WHERE WILL IT END? 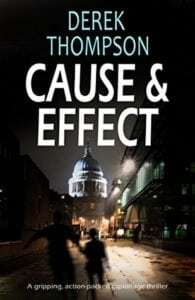 Two unconnected events – an attack on a child and a clinical assassination – confront Thomas with moral dilemmas. When his investigations converge and his day job encroaches into his freelance work, Thomas discovers uncomfortable truths about those who matter most and the Shadow State’s supply chain. But it’s what he doesn’t know that poses the greatest danger. A STOLEN CAR WITH A BABY INSIDE IS THE LEAST OF BLADEN’S PROBLEMS. 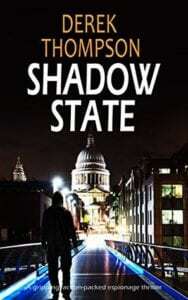 Thomas Bladen faces hard choices when a Shadow State agent orders him to expose a defector or risk the lives of others. A stakeout becomes a rescue, an intervention leads to murder, and dark secrets come to light as Thomas and Karl play a dangerous game, turning the Shadow State against itself. But who is the real enemy and who will pay the ultimate price? 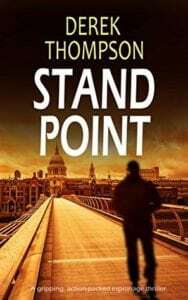 As the security services scramble in the aftermath of a coordinated terror attack on London, undercover operative Thomas Bladen is in deep trouble. 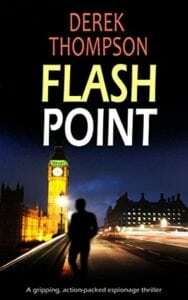 His department is taken over by MI5, his girlfriend’s gone, and he’s “lost” a handgun during unofficial surveillance of a politician. When two key SSU personnel disappear, Thomas Bladen chooses loyalty over protocol. Forced into a pact with an old adversary, what he discovers could change the rules forever. If you like John le Carré, Robert Harris or Ken Follett novels you will be gripped by this compelling espionage thriller series.